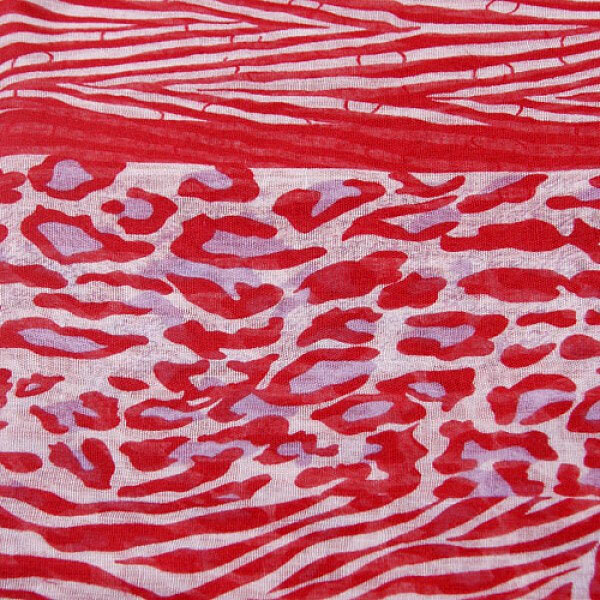 A chic very light beige polyester scarf overprinted with a rich crimson red, both in blacks of colour, and with an animal print with a touch of pale lilac. The scarf is: 90cms in width x 180cms. in length. These reasonably priced polyester scarves from KIENA Online Shop's collection are so comfortable to wear and come in a wide range of colours. 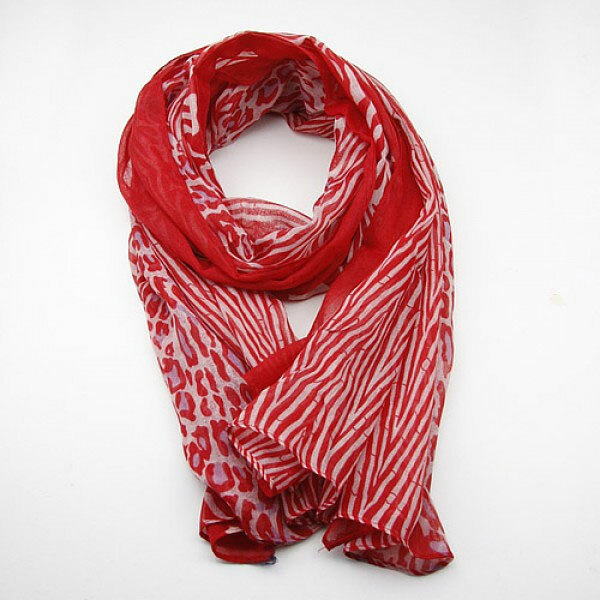 Material of scarf: 100% Polyester. Hand wash separately.